This stunning bowl has a variety of uses; and whatever you choose to display in it will be showcased by a bold scarlet hue. The Araglin Collection by Waterford is characterized by diamond and vertical wedge cuts and an elegant tulip design, creating stunning crystal and stemware with a truly unsurpassed shine and brilliance. 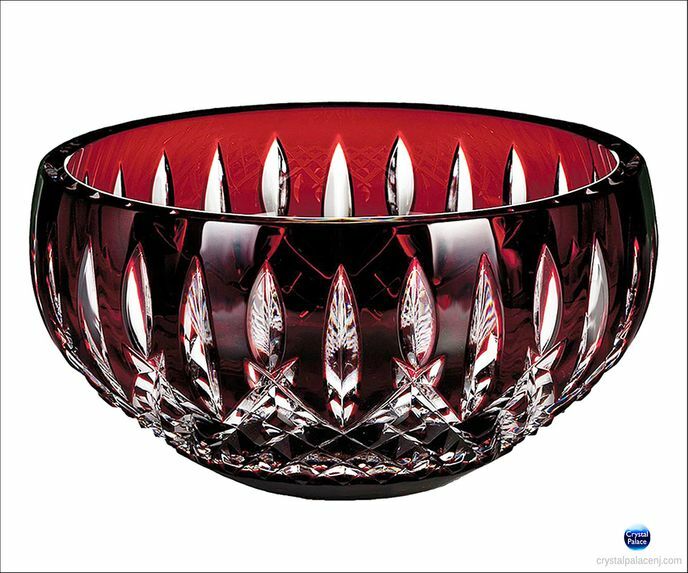 This stunning bowl has a variety of uses; and whatever you choose to display in it will be showcased by a bold scarlet hue.